Visible from NASA’s Aqua satellite revealed the effects of wind shear on Tropical Cyclone Riley in the Southern Indian Ocean. 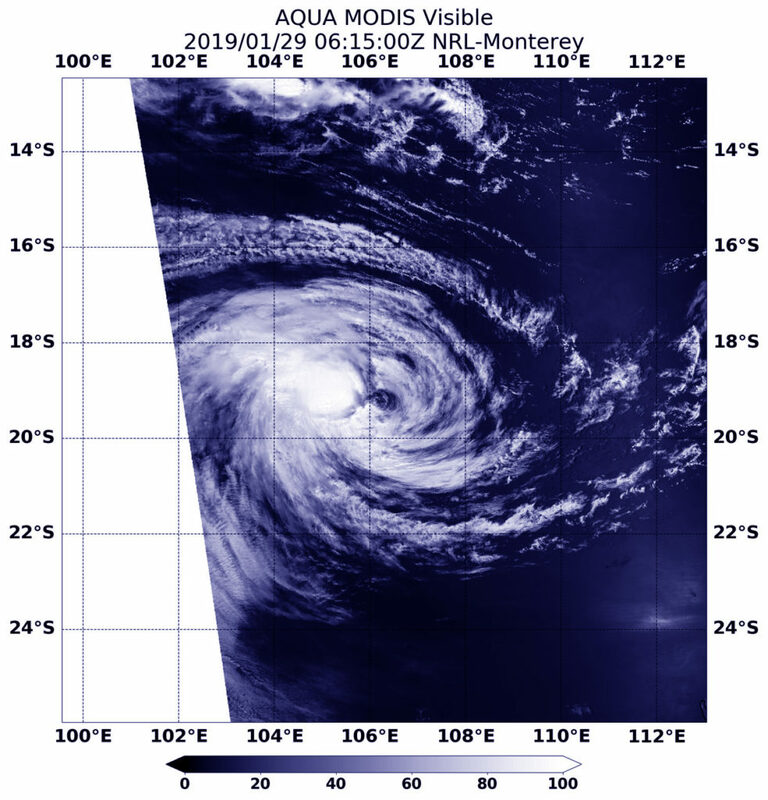 On Jan. 29, 2019, the Moderate Resolution Imaging Spectroradiometer or MODIS instrument aboard NASA’s Aqua satellite captured a visible image of Tropical Cyclone Riley, located far to the west of Western Australia. Easterly wind shear pushed the bulk of clouds and storms west of the center.